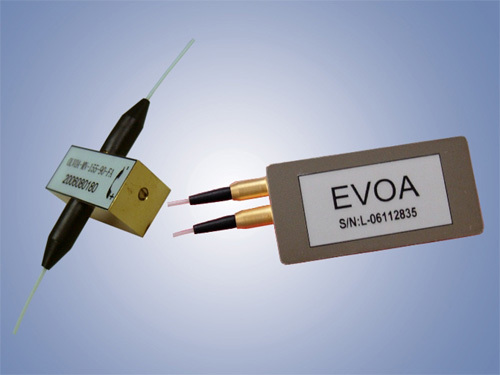 Attenuators are optical reducers used in fiber optics. Attenuators are used to reduce the power of signals when the receiver is near the sender or the signal being sent is too strong, either of which would result in the receiver being overloaded. First class performance and extremely reliable. Our optical attenuators are suitable for singlemode applications and are available for S-C-L-Band. The attenuation values of these components range from 3 dB to 30 dB. The selectable parameters of the variable attenuators range from 0 to 60 dB. The attenuators are not only tested at the standard wavelengths, but across 100% of the complete applications range. They are bidirectional and have a low insertion loss. All components have been field tested for the long term. Different types are available that can be used in various installation and environmental conditions. All standard parts are attractively priced and available with quick delivery times.